Moral Warnings: Halloween/Horror theme in one extra level; during the parade levels there are women in bikini’s. 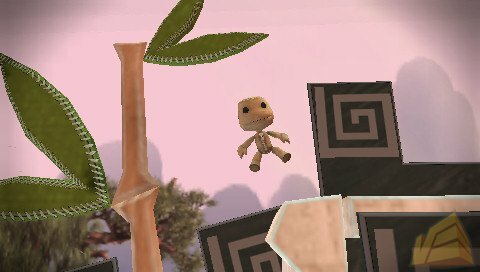 When I did kill my Sackboy, the sound effects are so good that I felt guilty. The sizzle sound when getting burned, and the bzzzzzzzzt sound of getting electrocuted made me cringe every time. I did enjoy the background music and overall polish of the game. You can’t go wrong with narrators with British accents!